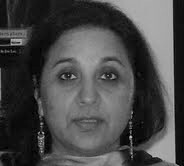 Amita Deepak Jha is a playwright and theater director based in Washington DC in USA. Her first play "A Tryst with destiny" opened in Washington DC to sold out shows and rave reviews in August 2011. "A Tryst with Destiny" is an ambitious 2 hours play about the events covering the period 1919-1947 of India's history that led to its independence from the British empire and its division into India and Pakistan. 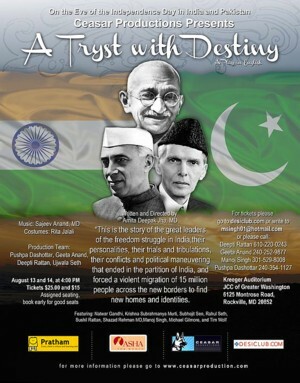 The play deals with the personalities and politics of it’s key leaders fighting for freedom including Mahatma Gandhi, India's first prime minister Jawaharlal Nehru and Pakistan's founder and first governor general, Muhammad Ali Jinnah. (2) A comment by Kumar Ketkar on "A Tryst with destiny"
(3) Below are excerpts of an interview with Amita Deepak. Sunil: Amita, you are a practicing physician and also a playwright and theater director. That is an unusual combination. Can you elaborate on it, how it came about? Then my life took a different turn, and I lived in Europe for some time and then came to US. Working as a physician and raising family became more important, though I did continue to follow the different creative arts. Over the last few years, with my children growing up, I have been clamouring to go back into theater. Sunil: "A tryst with destiny" deals with a very complex situation, the times when India became independent and Pakistan was founded. This is a very challenging subject. How did you come around to chose such a subject for your work? Amita: I grew up in a family that had played an active role in India's independence struggle. My father had been to jail when he was just 14 years old. Both my parents had been followers of Mahatma Gandhi and rooted in the socialist ideology and politics of their times. My mother's family came from Pakistan. My maternal grandfather had been to university in Lahore with Sheikh Abdullah, the leader from Kashmir and with Liyaqat Ali, the first prime minister of Pakistan. When India was divided, my grandfather thought that they will live in Pakistan and only some time later he realized that as a Hindu he was not welcome there. So from my mother's part of the family, I heard stories about their home and properties that they had been forced to leave in Pakistan. In independent India, my mother initially worked as secretary in India's Parliament, where India's constitution was being written. She worked with Maulana Azad, independent India's first education minister, but also knew Pandit Nehru. Thus the events that are the focus of "A tryst with destiny", were a kind of background to my growing up years. Persons in my play were not just figures from a history book, but they were real people that I came to know though the discussions in the family. The events of Indian subcontinent were a terrible national trauma. Millions died and millions others were forced to leave back their homes and friends to migrate to India or to Pakistan. It created such deep anguish that for decades we could not look back at our history and try to understand what had happened, how it had come about and why it had happened? Only now, more than sixty years after those events, we can look back. Sunil: So when did you decide to write this play and how did you take that decision? Amita: I think that it happened gradually. A couple of years ago, I was reading the letters between Nehru and Gandhi, which led me to the history of Indian national congress. The more I read, the more it stimulated my interest and I started to feel that there was so much that had happened that we do not know and that has been forgotten and that can be interesting for people to discover. So I started thinking about writing this play. It took tremendous amount of research. More difficult has been to decide what to keep in and what to exclude. So much material is there and so much of it is really interesting, but all of it could not fit in so many books. My challenge was to decide what was important for the play and what was not. The script of the play went through so many revisions and it was hard work, done over weekends and late evenings. Sunil: From the script to the actual performance of such a complex play could not have been easy. So how did you do that? Amita: No it was not easy. I had started to look around, talking to persons involved in theater, while I was still polishing the script. Getting Dr Natwar Gandhi in the key role of Mahatma Gandhi was a stroke of luck. Getting on board persons like Krishna Subrahmanya Murti, Subhojit Sen, Rahul Seth, Sushil Rattan, Shazad Rahman and Manoj Singh for the main roles, getting Sanjeev Anand for music and Rita Jalali for the costumes, all the production team, slowly came around, one step at a time. For the two British roles, we were able to get Michael Gilmore and Tim Wolf. And finally, Manoj Singh helped through Ceasar productions. Volunteers played such an important role in helping and making sure that everything worked. In the beginning we were so unsure but slowly all the bits and pieces fell into place. All the persons involved in this play, we are persons who have full time jobs, families to look after. So it implied tremendous commitment and sacrifice from so many persons. To rehearse and remember a play of two hours that has long complex dialogues was not easy for anyone. It took four months of rehearsals. Sunil: So much hard work went into it, both shows were sold out and people's response has been so positive. Why didn't you plan more shows? Amita: It was a gamble. I was not sure about what we had prepared. 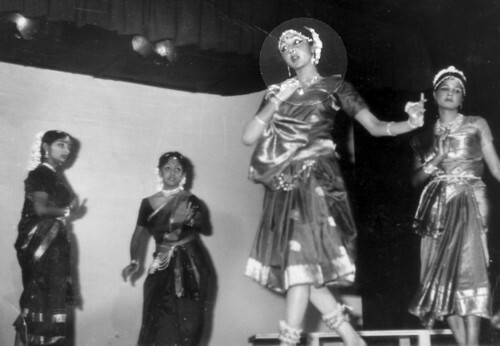 I had visualized the play in a certain way with actors on the stage as well as key historical footage from archives in different places, especially from India and from BBC. I had put in my own money in putting up the play, none of our persons were paid and so many other persons contributed. But I didn't know how people were going to react to it, if we would be able to pull it off. When the first show was held and people started clapping during the play at certain dialogues, that gave me an idea that people were liking it. I could see that my visualization of the stage sets, the script, the actors, it was together working. It was a wonderful sensation to see my ideas, my vision worked on stage. They were given life by all the actors and wonderful persons who had believed in my script and worked with me. So now everyone feels that we could have done more shows. For the actors, after all the hard work they have done for months, it would have been fulfilling to have more shows. We already have invitations and we are planning to do more shows, around October-November and then early next year. I wish we can take this play to India. However we need sponsorships to do it. For the first time, we invested our money to do it, now I hope that sponsors will come forward to help us take it to the wider world. Sunil: The play is not just about India, it is also about creation of Pakistan. Did you have any persons from Pakistan to come and see the play and how has been their reaction? Amita: From my friends, the reactions have been positive. The play recognizes that we are talking about a very complex situation and the main aim is to promote understanding, not lay any blames on people/ leaders. As playwright, I have tried not to be judgemental in any way, but to approach all the persons and situations with an attitude of respect and understanding. I have not invented anything so many dialogues of the play are things that are recorded, that people wrote in their letters and diaries, that were written in newspapers. History can be a very powerful way to bring people closer and make them understand each other. As India and Pakistan come away from the events of the past, we need our people to look back at our common past in a non-judgemental way, to recognize that events were complex and to learn lessons for our future. Sunil: Thanks Amita and best of luck for your "A tryst with destiny".